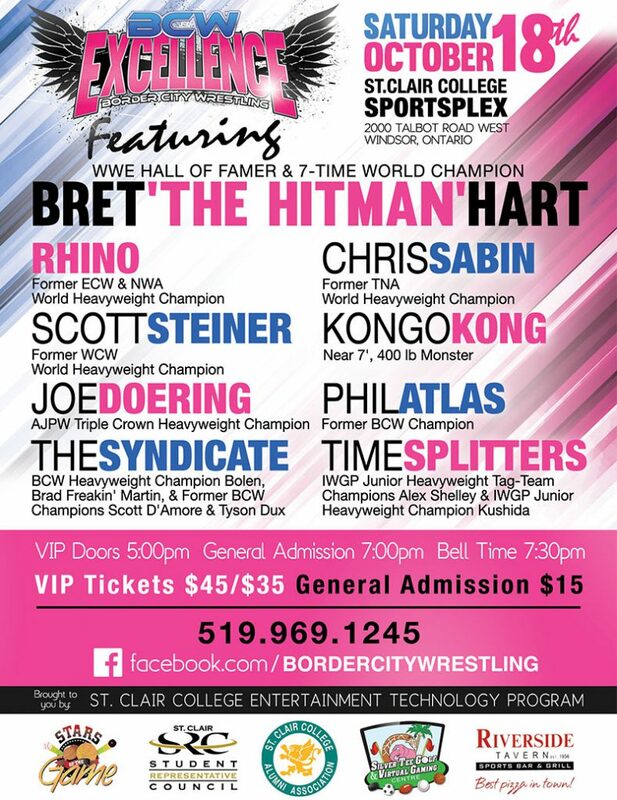 Since 2013, Stature Marketing has been working with Border City Wrestling to help with branding and design, event promotion, website strategy and marketing. It has been an incredible experience, where we have learned a ton about the professional wrestling business, and helped make a big difference with the company’s marketing efforts. For each show, we’ve created logo, poster, flyers, banners, signage, digital ads, social media banners, and much more! It’s a full blown advertising campaign packed into a limited budget and timeframe. There’s some incredible value to be had working with an agency who knows events (we’ve been involved with dozens and dozens of events of all shapes and sizes). We have been directly involved with two of BCW’s largest shows of the 20+ year history, and are now taking on a full website and online marketing strategy to further grow show attendance. BCW’s affiliated Can-Am Wrestling School is a world renowned wrestling school located in Windsor, Ontario. With no web presence any little to no marketing, Stature Marketing is stepping in to help reach potential students and followers online from across the globe. 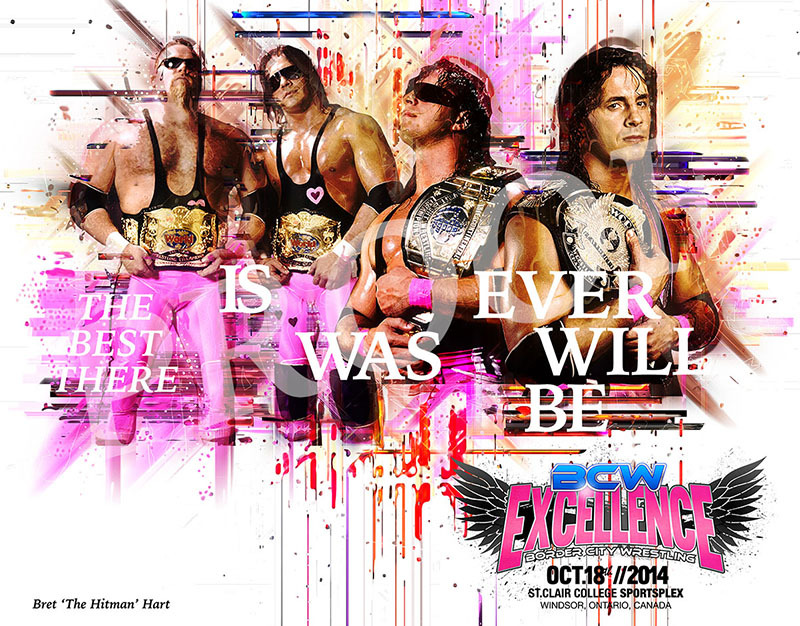 The show headliner, Bret Hart, is a mega star in the wrestling business. We branded the show with his blue and pink colors and the result was this striking poster that really can't be missed! The show was a HUGE success with the largest turnout in many years. 4x6 Flyers make incredible marketing tools for events. But, they are pretty tiny and demand clever design to jam in information. We packed in all the details here in a beautiful layout and even highlighted the show sponsors! Wrestling fans definitely love autographs and we wanted them to have something extra special. We designed this unique autograph photo and the fans absolutely loved it! Another custom designed autographed photos that the fans went crazy for. We had created 4 very different fan memorabilia pieces for this show.